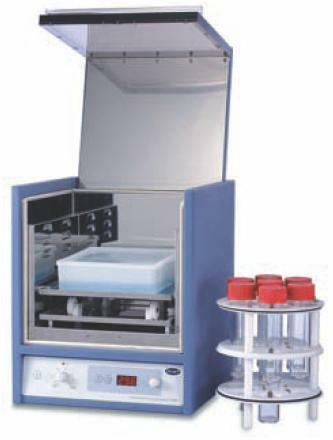 A very versatile 20 litre hybridisation incubator and combined rocker shaker which only requires a minimum of bench space. The incubator temperature is accurately set via the easy to use encoder controls and displayed by a bright LED. Forced air circulation combined with microprocessor control means outstanding temperature uniformity. The 'safety first' design includes an over-temperature protection system that automatically tracks the set temperature and controls the heater in the event of a fault. The smart system displays error codes indicating a fault has occurred or if the set temperature has been interrupted. The incubator also cuts power to the motor if it overheats or stalls. 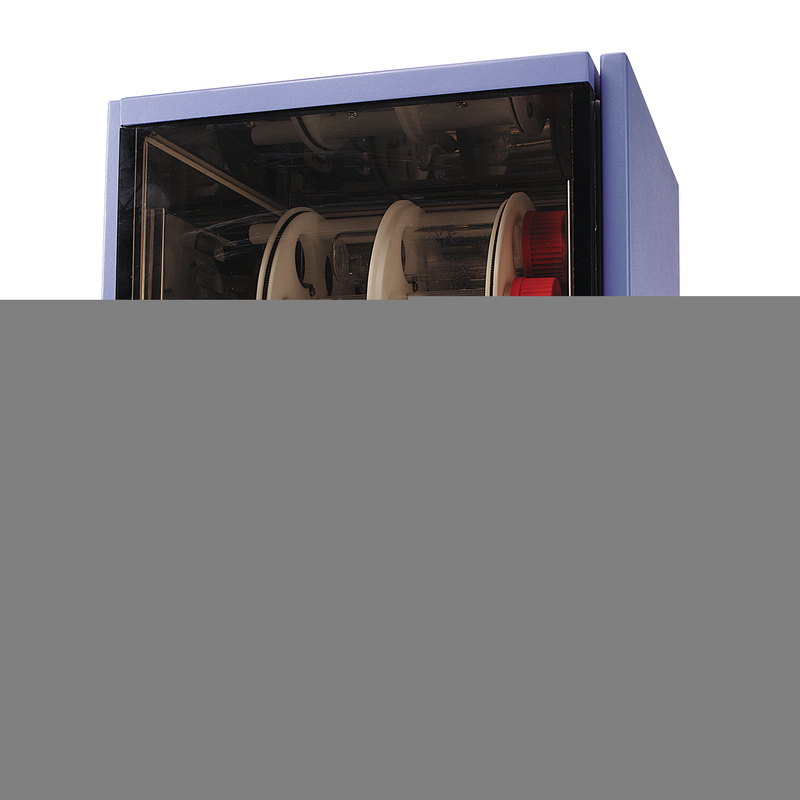 The incubator has a stainless steel interior, whilst the door is constructed from a double glazed panel of smoked acrylic and polycarbonate to provide radiation protection. The 'up and over' door mechanism gives excellent access to the incubator. The SI30H is supplied with a rotisserie that accepts 7 x 40mm diameter bottles. 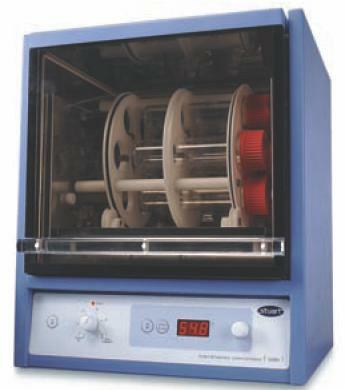 It rotates at speeds variable between 2 and 10rpm inside the incubator. It also acts as a bottle stand when removed from the incubator. Accessory rotisseries are available to hold 2 x 75mm diameter glass bottles and for 24 x 50ml centrifuge tubes which are popular for small scale hybridisations. Conversion of the unit to a rocker shaker is fast and easy. Simply remove the rotisserie and pull forward the platform located at the rear of the incubator. The gentle rocking action is ideal for the washing stage of most hybridisation procedures. Rocking speed is fully variable allowing optimisation depending on application. A range of hybridisation bottles are available made from tough Pyrex glass and leak proof PTFE faced screwcaps (see PDF).